Neuroinflammation may be a factor for myalgic encephalomyelitis/chronic fatigue syndrome which is common among people diagnosed with fibromyalgia. Imagine sleeping through the night but waking up exhausted. You try to push through your morning, but simply brushing your teeth or hair seems like an extraordinary effort. 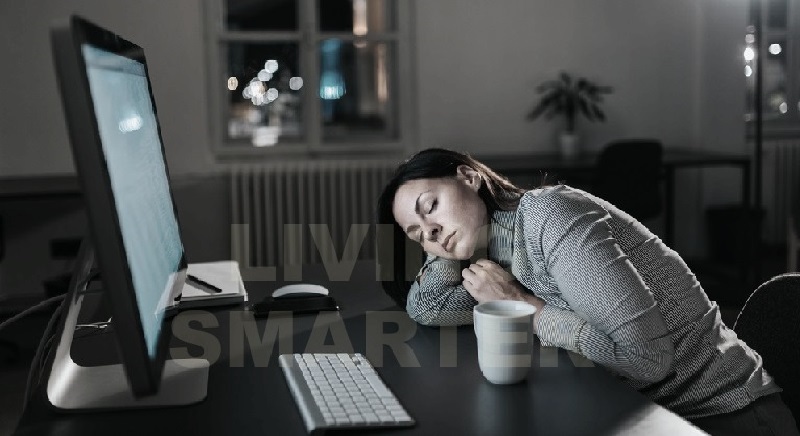 While other people seem to chug down a couple cups of coffee and wake up for their day, it takes you hours to wake up and just hours to fall back into exhaustion. Welcome to the world of myalgic encephalomyelitis/chronic fatigue syndrome. Also known as CFS/ME, this condition is characterized by physical and mental exhaustion so severe that it affects things like holding down a job, focusing in school and completing basic household chores. These things can feel as challenging as running a marathon daily. I get it, I've lived with it, and again this is exactly why I am so passionate about this cause. People with the co-condition of CFS/ME can have additional challenges physically, mentally and socially. Your friends and family might tell you that you don’t look sick or disabled. Other people don’t understand why just getting out of bed is so difficult and maintaining a full life with career, family and social connections is overwhelming. It’s common for people diagnosed with fibromyalgia to also struggle with extreme fatigue, and many qualify for a CFS/ME diagnosis as well. If you have ever been diagnosed with viral activity such as the Epstein Barr virus or even mononucleosis as a child, you could be at greater risk. The symptoms in fibromyalgia and CFS can overlap but there is an even greater correlation to the mitochondria (energy center of our cells) in CFS than fibromyalgia itself. You can visit our Chronic Fatigue Syndrome article at anytime where I discuss more of the symptoms in CFS/ME. Lactate is a substance released from muscles during exercise or other periods of physical exertion. It’s what leads to cramping and soreness after you push through an intense workout, but people with fibromyalgia and chronic fatigue syndrome often have high levels of lactate in their bodies even when they don’t exercise. It takes more creativity on my part to support and work with people with CFS/ME to exercise due to energy limitations, but it is what I do, I get it, and it can be done. What makes chronic fatigue syndrome and fibromyalgia different from a healthy person performing intense exercise is the amount and location of the lactate. Exercise produces lactate in the muscles and blood, but lactate is often found in the brains of CFS/ME sufferers. Multiple studies have found high brain lactate levels in people diagnosed with CFS/ME, fibromyalgia or both. Further research is needed to determine other key differences in the cerebral spinal fluid of people with these conditions and healthy people without these conditions. Studying the makeup of spinal fluid is considered the best way to analyze the brain without invasive surgery. In 2014, results of a Japanese study into brain inflammation in CFS/ME patients gained international attention. The study took PET scans of nine people diagnosed with CFS/ME and 10 healthy people with no known disease. The results showed a consistent pattern of widespread inflammation in the brains of people with CFS/ME. Neuroinflammation in the chronic fatigue sufferers corresponded to fatigue, pain, depression and cognitive impairment. These symptoms were self-identified through questionnaire’s given to all study participants, and the researchers concluded that inflammation in the brain is possibly the cause of those physical and mental symptoms. Imagine cutting your finger and watching it swell up and turn red. Perhaps it bleeds and continues to produce puss throughout the healing process. These are all symptoms of inflammation, which is the body’s natural protection against injury or disease-inducing invaders. Specific types of cells are triggered to mount a defense against the invader or the injury. When the brain is inflamed, those defense cells cross into the central nervous system. This system is made up of the brain and spine, and the symptoms of fibromyalgia and CFS/ME are possibly caused by swelling and irritation in brain tissue due to the infiltration of those immunity cells. I believe that Neuroinflammation can be just one of the underlying issues in fibromyalgia or CFS/ME. In fact, we know that both conditions are often triggered by viruses, infections or traumatic experiences. It’s possible that the original trauma or infection leads to the inflammatory response in the brain. The catch is that further research is needed to determine what role brain inflammation plays in these debilitating conditions and how it can be treated to relieve symptoms. When you follow here at LSWF, you know that how we treat fibromyalgia and CFS/ME is not only less invasive, but more effective. Yes, we can take action to relieve overall inflammation throughout the body. When we can reduce overall fatigue factors and inflammation in the brain or throughout the central nervous system, this will have great impact on how you feel. We focus on things that have found to be most verified for increasing our quality of life with Fibromyalgia and CFS/ME. This includes safe and effective fibro exercise, a nutritious diet, quality sleep, avoiding toxins (which can perpetuate brain symptoms), stress reduction, and continued digging into your individual root causes. I often talk about these root causes in my live videos on the facebook page, so that is another helpful tool here.